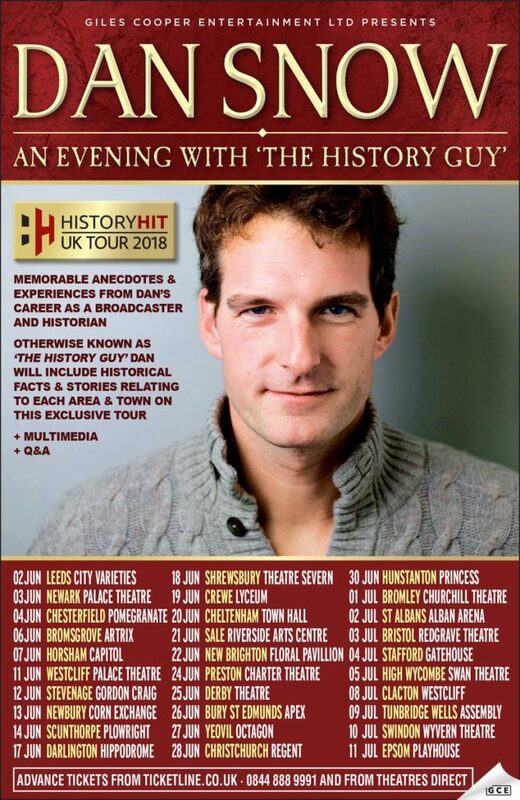 This is something in the vague way of a Dan Snow fansite – mostly with news and articles rather than the vast galleries of pictures and epic swathes of detailed information that you might get on other fansites. Please note – this site is in no way official and we have no contact with Dan himself. Posted in Site News | Comments Off on Welcome! As any of you who visit the site somewhat frequently might have noticed, I’ve not updated for a really, really long time. It’s pretty much all down to going back to university and working on my masters. Otherwise, the best source for Dan Snow news is probably his own twitter account. More information about the appeal. Dan will be on BBC Two at 8pm tonight. No word on whether this is the same as the programme that was broadcast in the West Midlands last near. 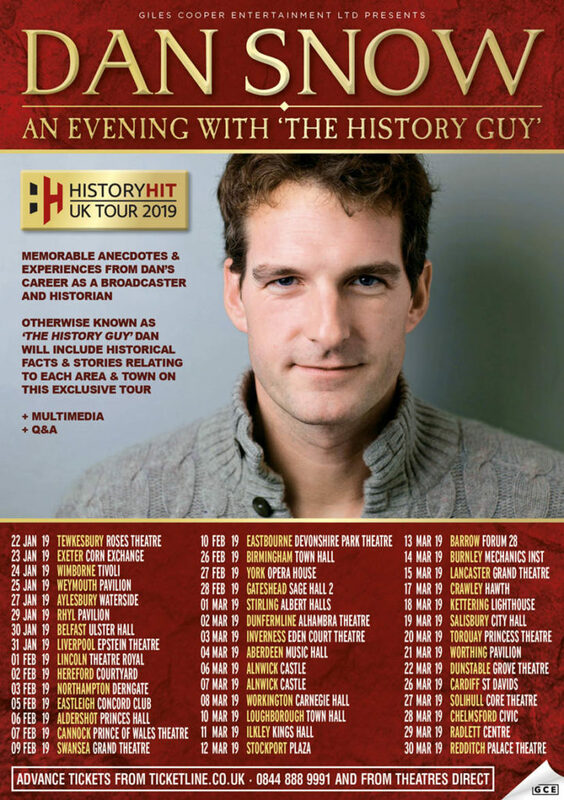 TV historian Dan Snow travels across the old Kingdom of Mercia unravelling the secrets of one of Britian’s most significant discoveries – the Staffordshire Hoard. The Hoard offers 1500 new clues into the Dark Ages and Dan pieces together the lives of the people living in these long-forgotten kingdoms. Dan’s featured in an underwater photo exhibition doing what he does, but underwater! The exhibition is in aid of the Shipwrecked Mariners Society and more details can be found here. Dan and his dad Peter will be on Celebrity Antique Road Trip tonight at 7pm BBC2 in England and on Sunday on BBC2 at 6pm in Scotland and Wales and at 7pm in Northern Ireland. 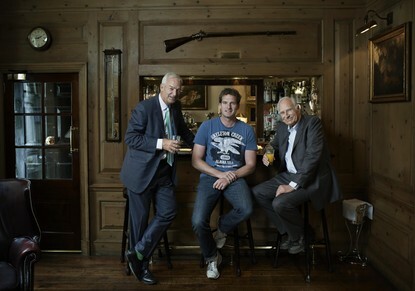 Father and son team Dan and Peter Snow go head to head with experts Charlie Ross and Charles Hanson on the hunt to find the best antique deals as they travel through Hampshire and along the south coast ending up at an auction in Billingshurst, Sussex. The National Museum of the Royal Navy (NMRN) and Antiques Storehouse at Portsmouth Historic Dockyard were taken over this summer by father and son team, Peter and Dan Snow, as they recorded an episode of Celebrity Antiques Road Trip. The episode will be screened on BBC Two on Friday 4th November at 7pm. Each programme will see a different pair of celebrities put their wit and bargaining skills to the test as they set out to find hidden gems along the road and auction them off, hopefully at a profit, at the end of their trip. All money made throughout the series will be donated to Children in Need. 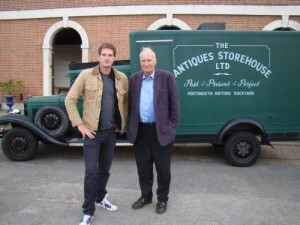 One of Britain’s best known journalists and presenters, Peter Snow, partnered with antique expert Charlie Ross, competed against his son, TV historian/presenter Dan Snow, and expert Charles Hanson as the would-be bargain hunters travelled an antiques trail in classic vintage cars. The teams were each given a starting budget of £400 before starting their engines for the cross-country challenge in which they were tasked to make the biggest profit buying and selling antiques. Whilst on their trip to Portsmouth Historic Dockyard, Peter and Charlie couldn’t resist a visit to the National Museum of the Royal Navy where Head of Collections, Matthew Sheldon, showed them a fascinating collection relating to Admiral Lord Nelson. However, Dan and Charles were hot on their heels and soon caught up with them to find some last minute bargains at the Antiques Storehouse before the big reveal of items collected for auction. Find out more about Children in Need here.